I wanted to hop on quickly to wish everyone a Merry Christmas! I hope you all have a wonderful holiday. Cheers! I hope you and your family had a blessed Merry Christmas! Merry Christmas to Simply Stacie!!!! Thanks and Merry Christmas to you and your family. Great Holiday sign. Love the ideas. Such a magical time of year. Love it. Merry Christmas to you and yours. Merry Christmas to you as well, I love the graphic above, very nice. Merry Christmas to all and to all a goof night. Merry Christmas to you and your family. Thank you for sharing your thoughts with us–and the giveaways! I’ll say it loud and clear. Merry Christmas!! Merry Christmas, hope you had a wonderful day and hope Santa was good to you!! Merry Xmas to you and yours! Thank you for all the recipes, reviews, and giveaways! Merry Christmas Stacie! Hope you have a wonderful New Years as well! 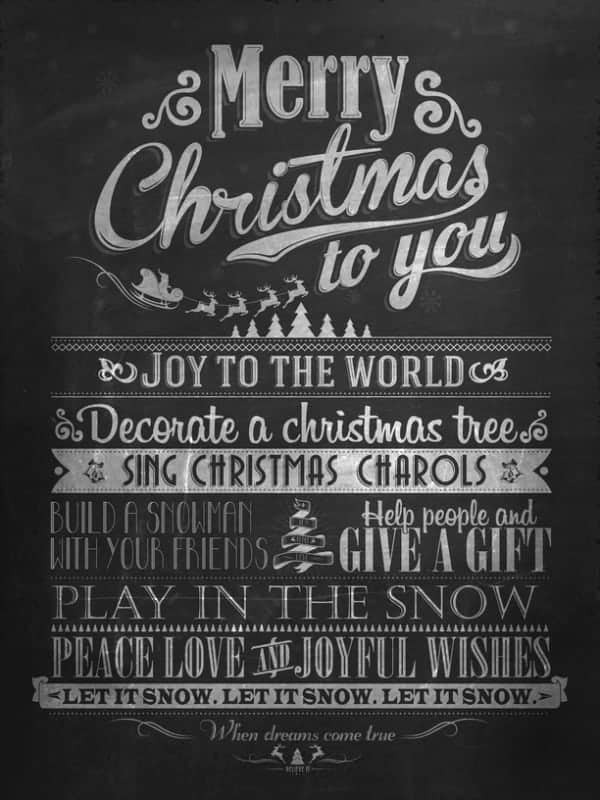 Merry Christmas and I love this message chalk board wish I could write like this one one. That is a lovely sign! Thank you, hope you and your family had a Merry Christmas as well! I hope you and yours had a fabulous Christmas and I wish you a Happy and Healthy New Year!